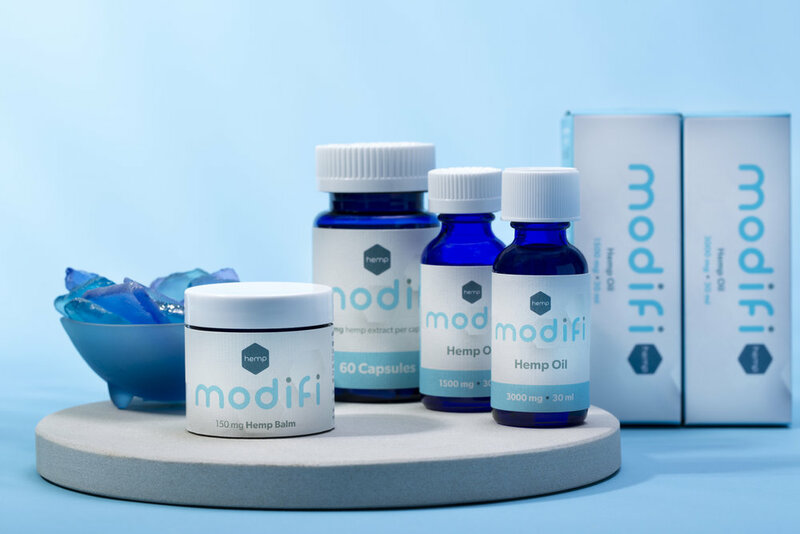 TCE helped develop this product from the start–naming, strategy, brand, package design, and web design– and continues to work with the brand on marketing, strategy and social media. 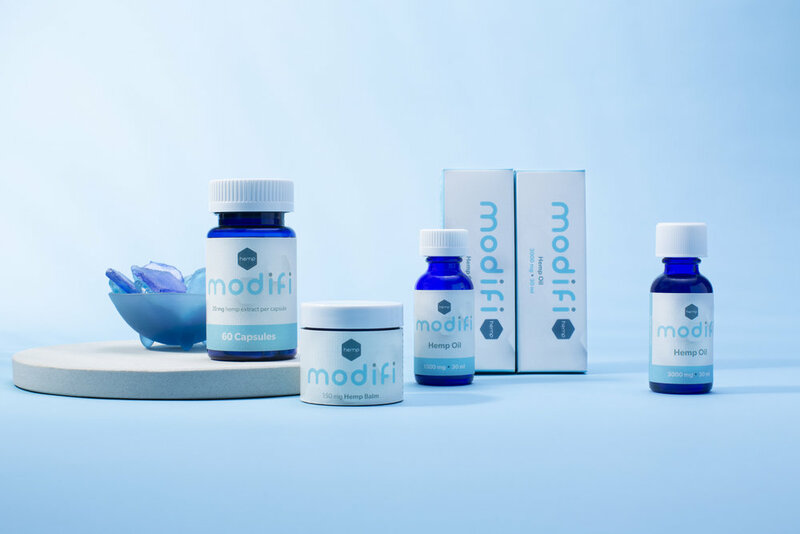 Modifi is a new CBD brand entering the wild frontier that is the cannabis market. 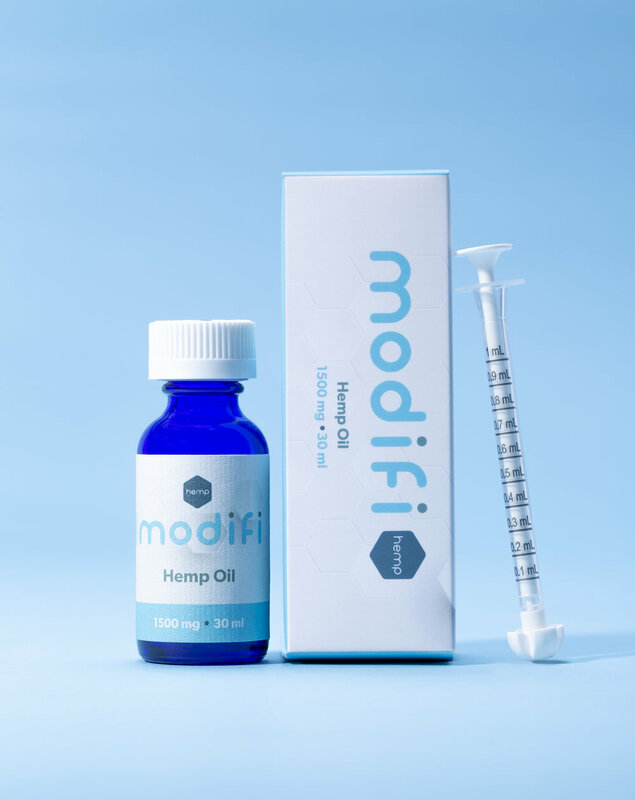 Entering right as the new farm bill has passed, taking hemp off the controlled substance list, this brand is targeted at the pharmaceutical sector. 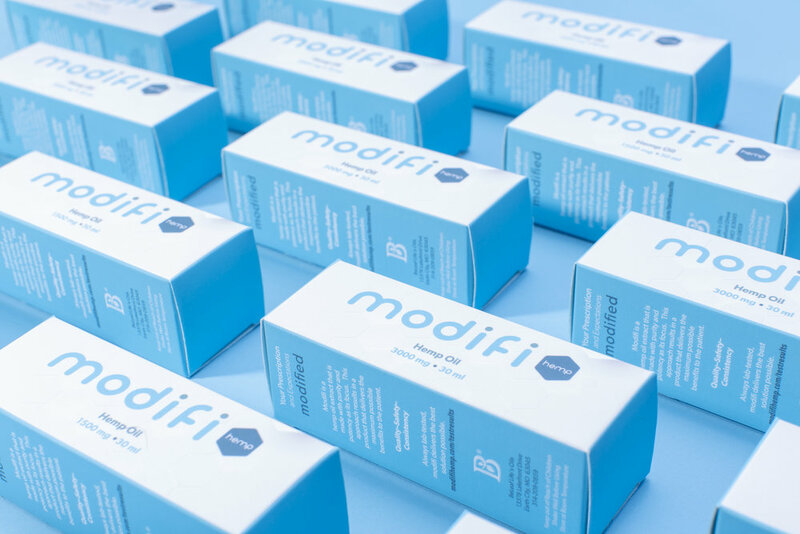 Modifi is formulated to be in pharmacies, easily dosable, prescribed by doctors and used in the medical field. 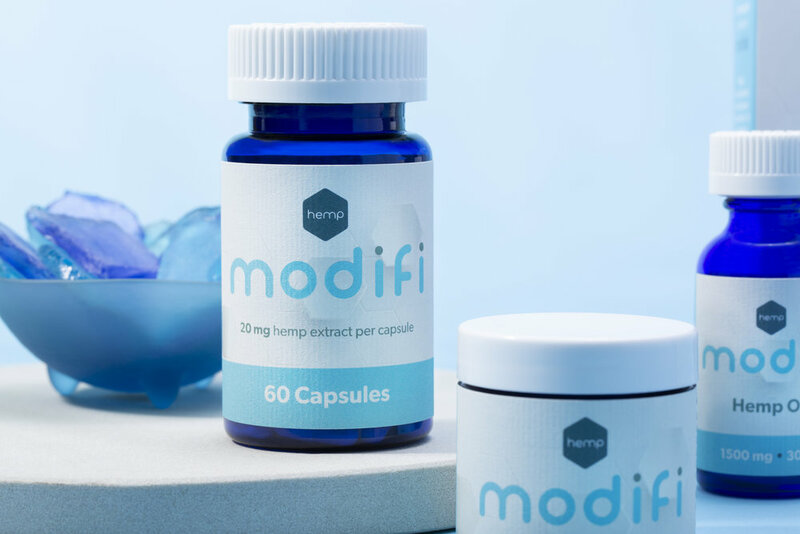 Due to this it is stripped of all THC but still has the benefits of the whole hemp plant. 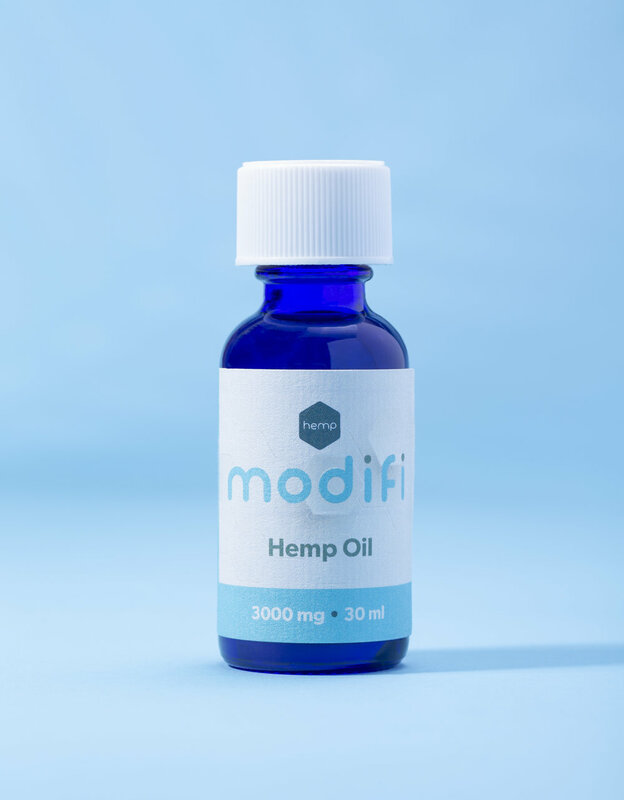 The labels were printed by Blue Label Digital out of Ohio. 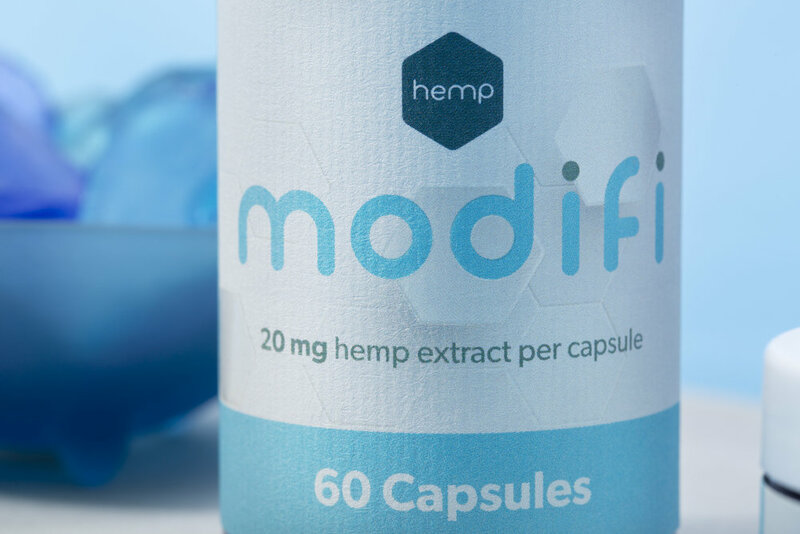 Each label has a spot hit of clear foil to accent the cell/chemical compound shapes that call out to the more medical side of this brand. The boxes that hold the tincture bottles and dosing syringe is soft touch laminated.